GAME: Friday Oct. 5, 2018 --- 7 o'clock p.m. kickoff. 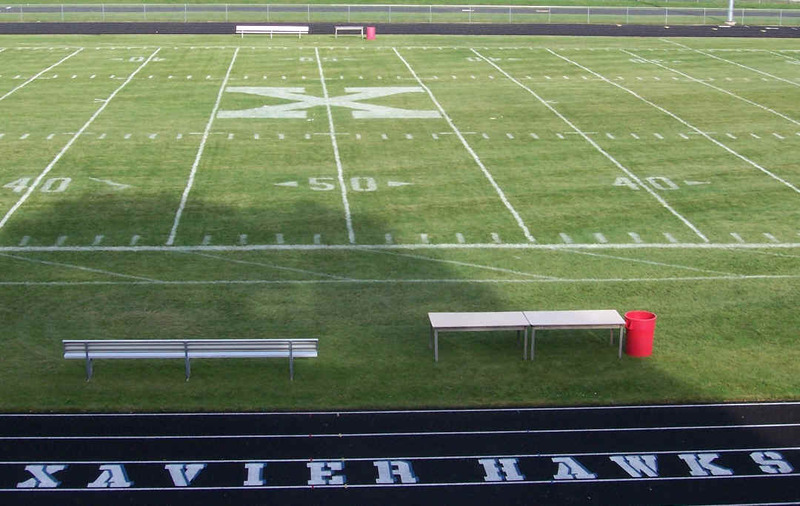 Xavier now plays in the Bay Conference. behind Xavier High School. Ticket gates open at 6:00 p.m. PEP RALLY: on Sunday Sept. 30 - start time = TBA. before the game, which is on Friday. In the Torchy Clark Gym at Xavier. ALL are welcome to attend. It is expected to last about 1 hour. For the start time, see the SCHEDULES CALENDAR link above in the black header above at the top of this web page, then open the entire online calendar; finally, select the DATE listed above for the Pep Rally. PARADE: will be held in 2018. There will be a Parade for Homecoming 2018. Info & schedule will be announced by the high school. See the SCHEDULES CALENDAR link above, then open the entire online calendar; finally select the DATE for the game. TAILGATE: prior to the game, at Xavier, on game day. Alcohol is not allowed on school grounds. The start time and details will also be announced by the high school and listed via the SCHEDULES CALENDAR link above, look for the date of the game. Sold starting at 6 o'clock p.m. at the ticket booth at the game field.